Harlequin Intrigue brings you three new edge-of-your-seat romances for one great price, available now! 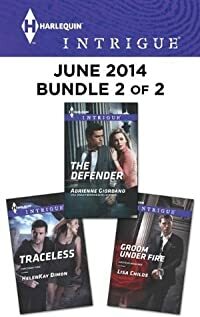 This Harlequin Intrigue bundle includes Trace by HelenKay Dimon, Groom Under Fire by Lisa Childs and The Defender by USA TODAY bestselling author Adrienne Giordano. Catch a thrill with 6 new edge-of-your-seat romances every month from Harlequin Intrigue!